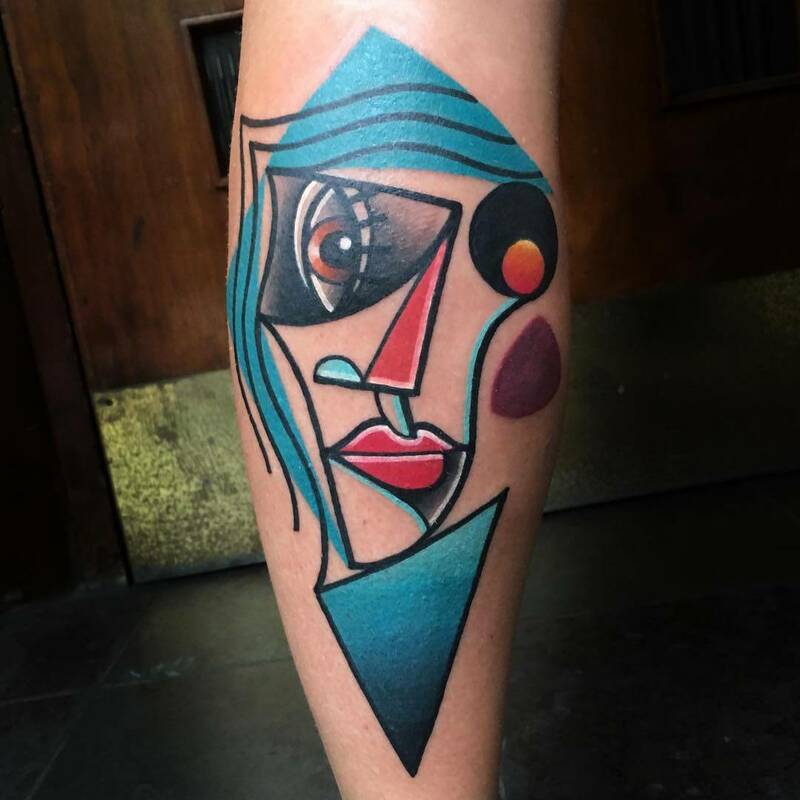 Fan of Picasso? 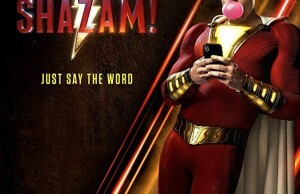 You gonna love these! 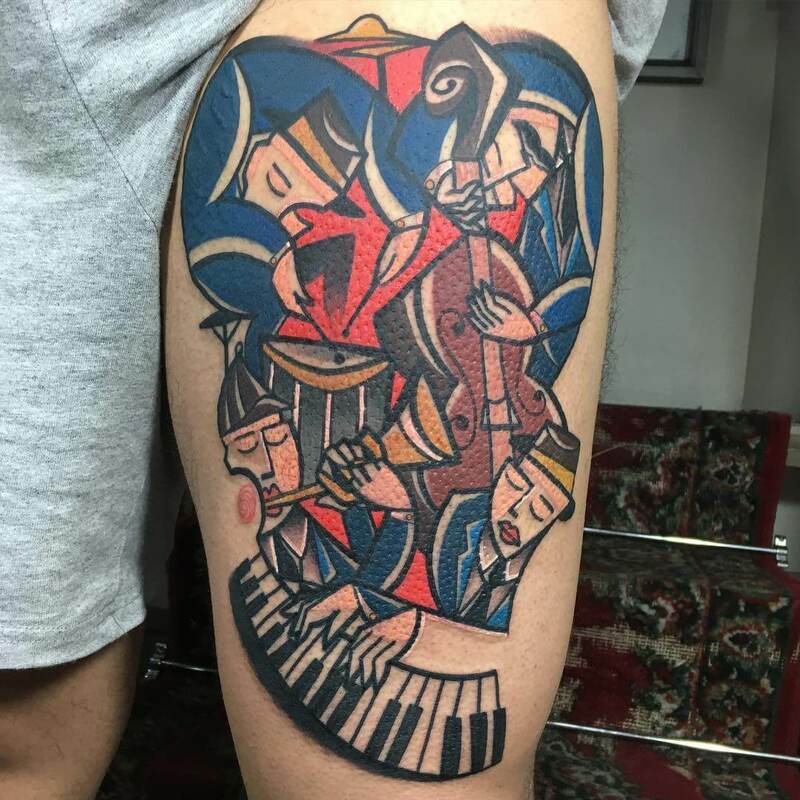 Cubism as a movement started with Pablo Picasso more than 100 years ago and today it influences many art branches. 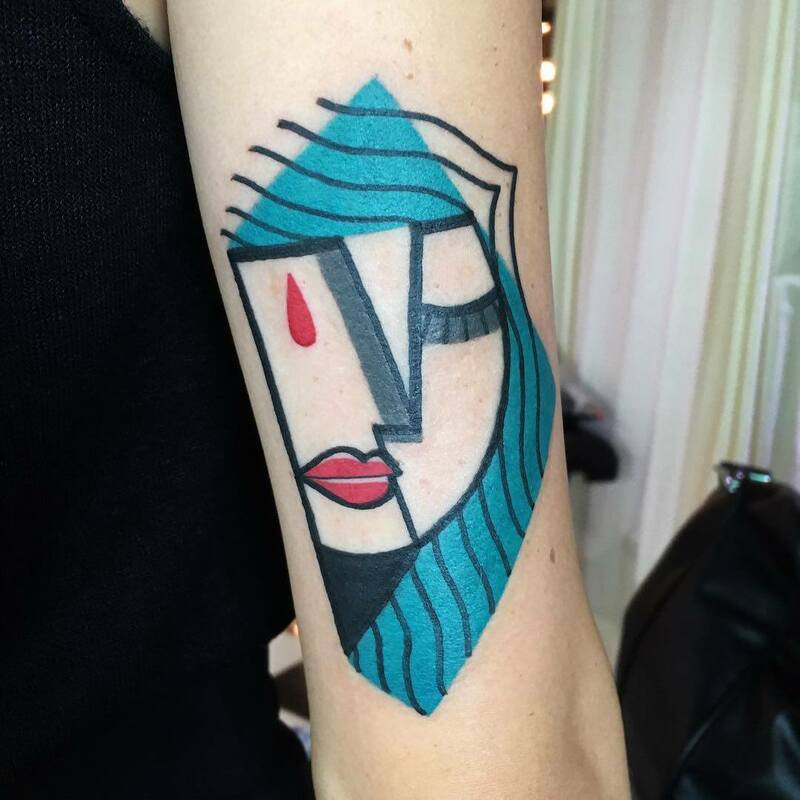 Even tattoo artists are inspired by the work of the famous Spanish author. 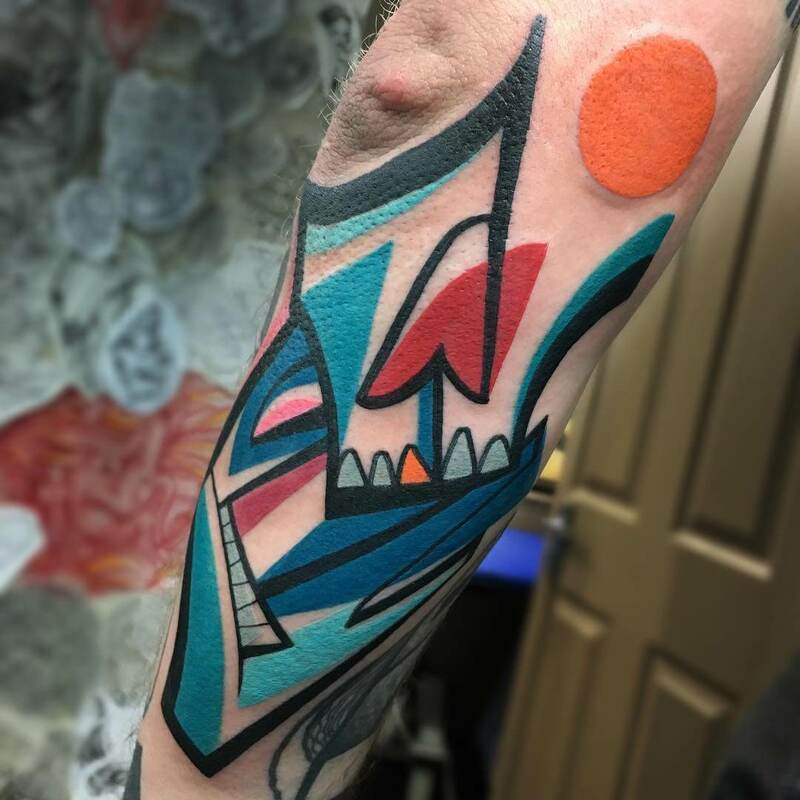 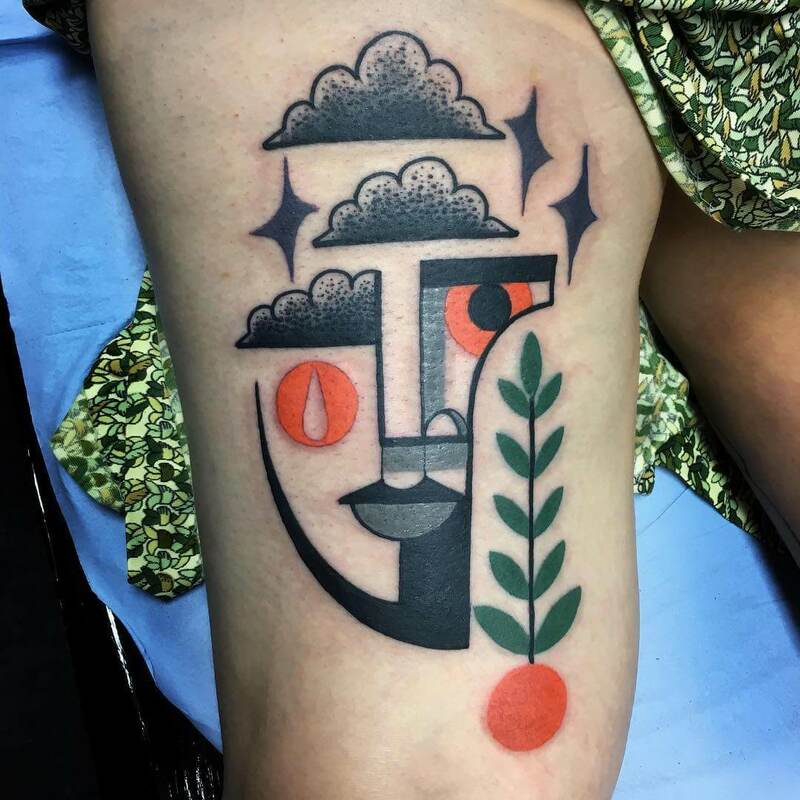 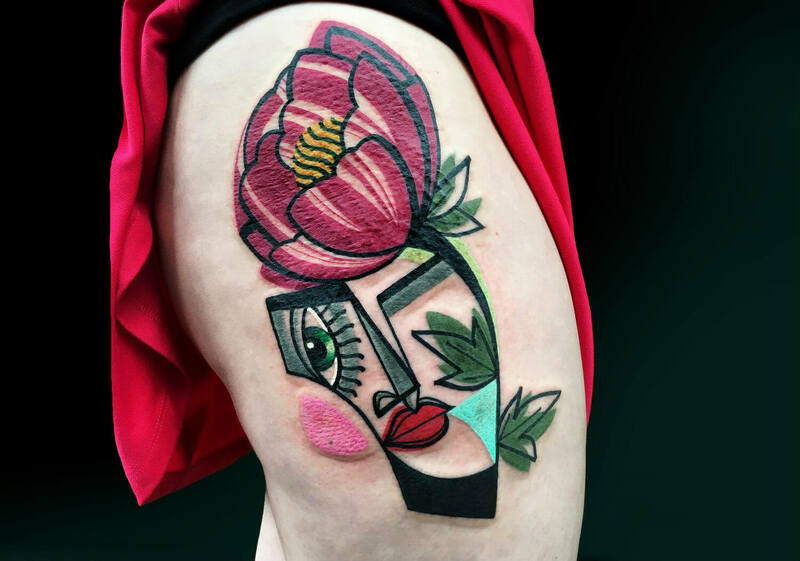 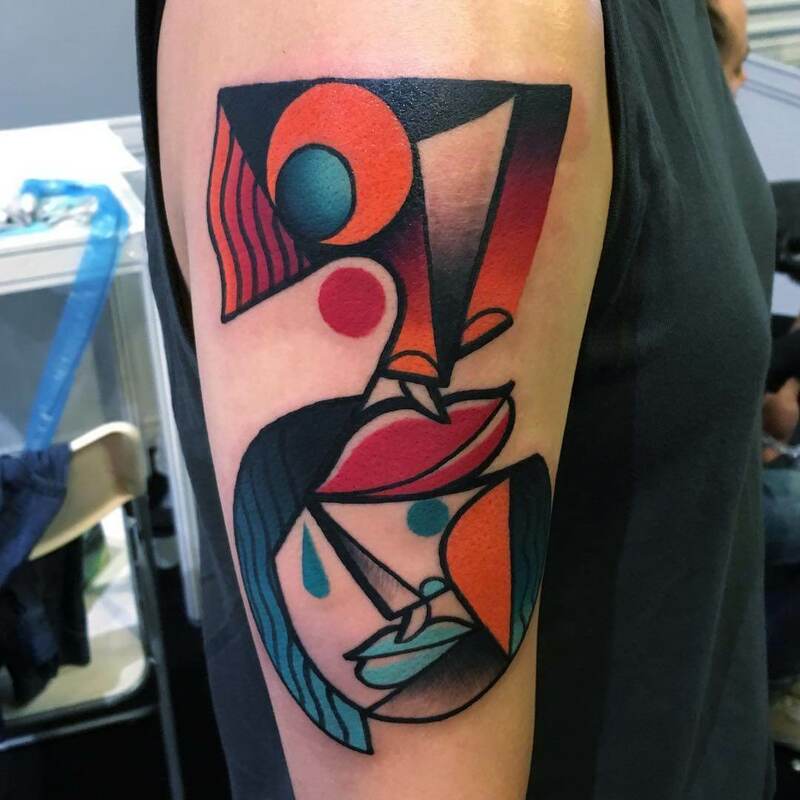 Tattoo artist Mike Boyd, based in London, found inspiration for his work in this particular art movement which characterises vibrant colors, sharp lines and not so realistically defined shapes. 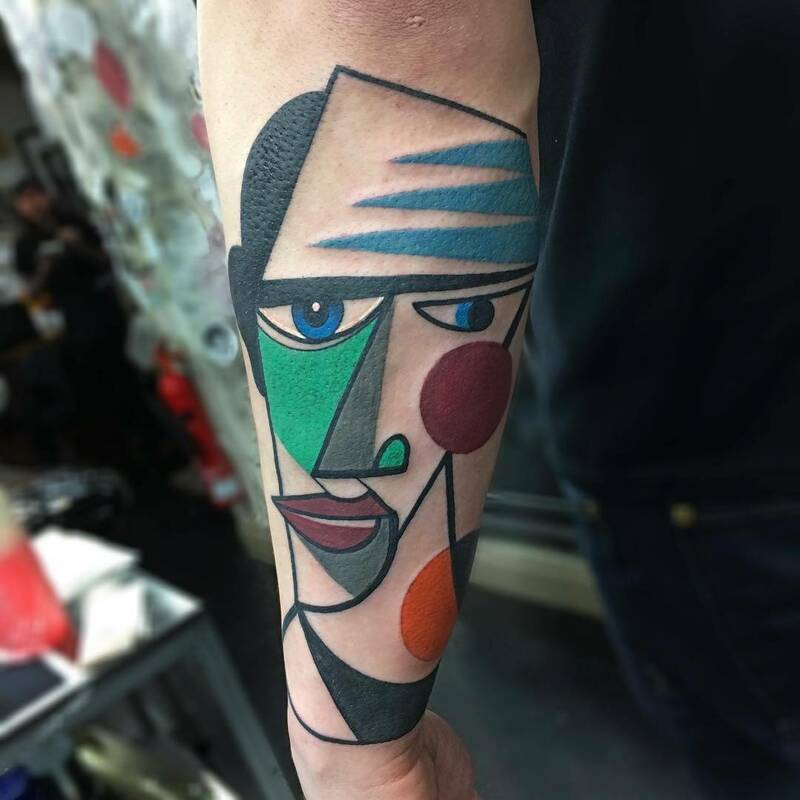 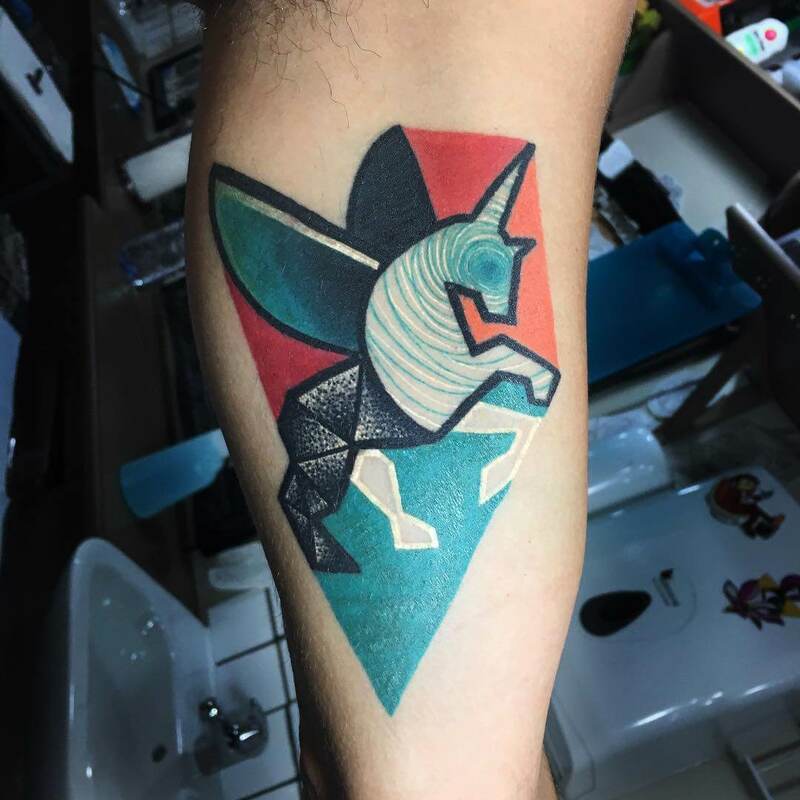 His amazing Picasso inspired tattoos look really like, you guessed it, Pablo-Picasso at first sight, so strong is the influence of a famous painter on this tattoo artist. 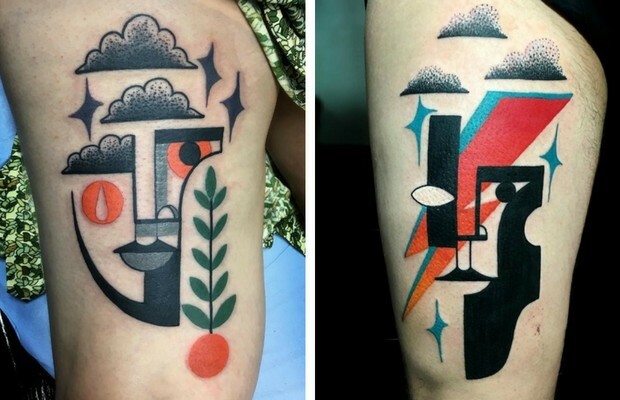 Nevertheless, the tattoos are also with a personal mark, and above all amazing and interesting to look at. 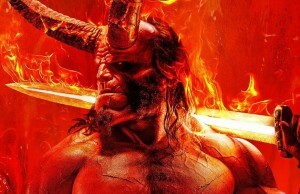 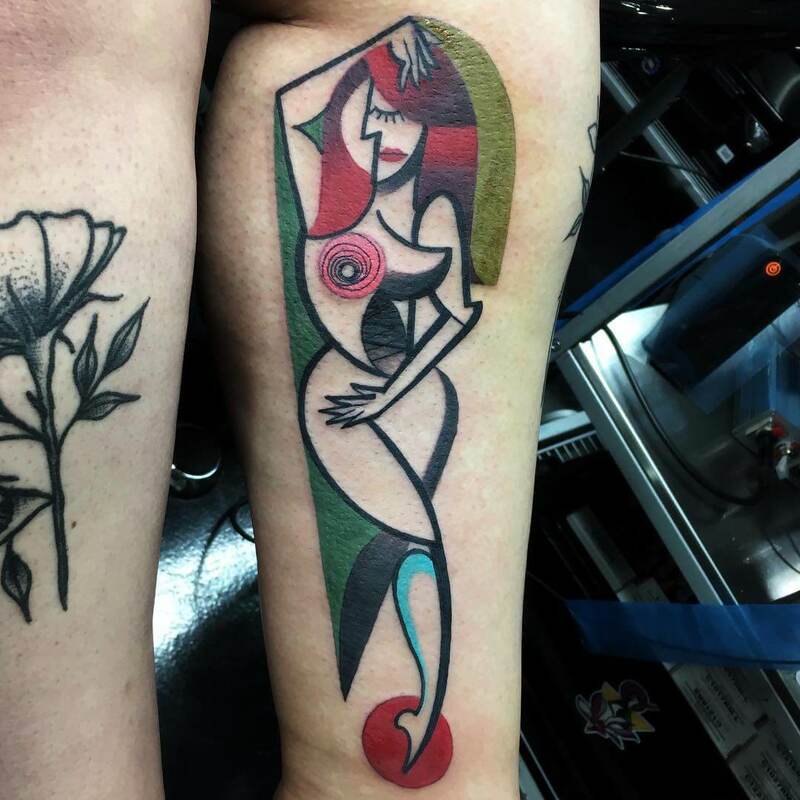 As with Picasso paintings, the shapes on the tattoos are not precisely defined so your imagination turns on pretty quickly when you lay eyes on one of those. 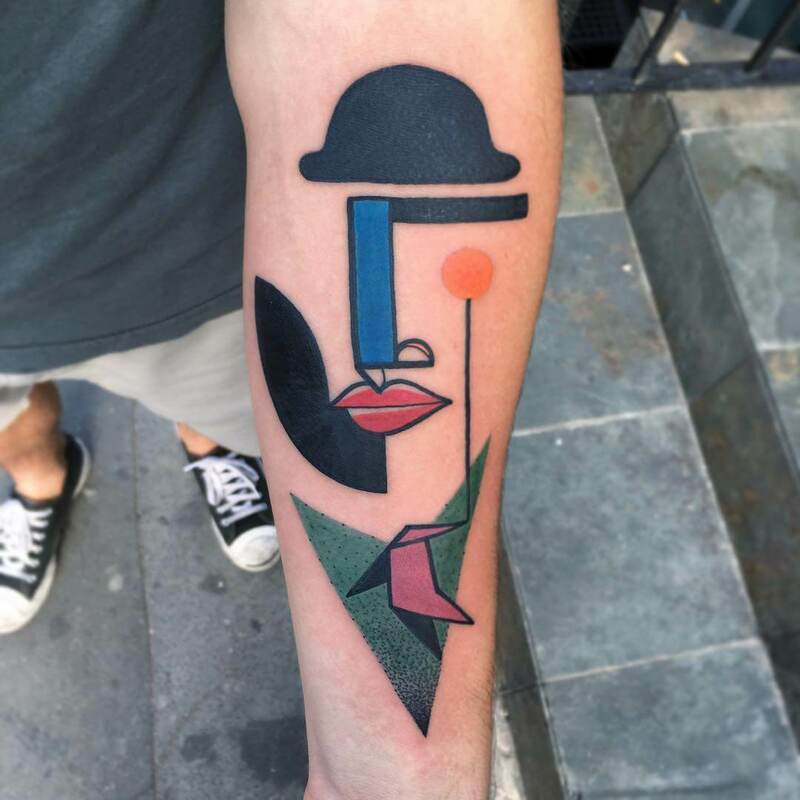 Cubism is not the only thing that inspires Boyd’s work. 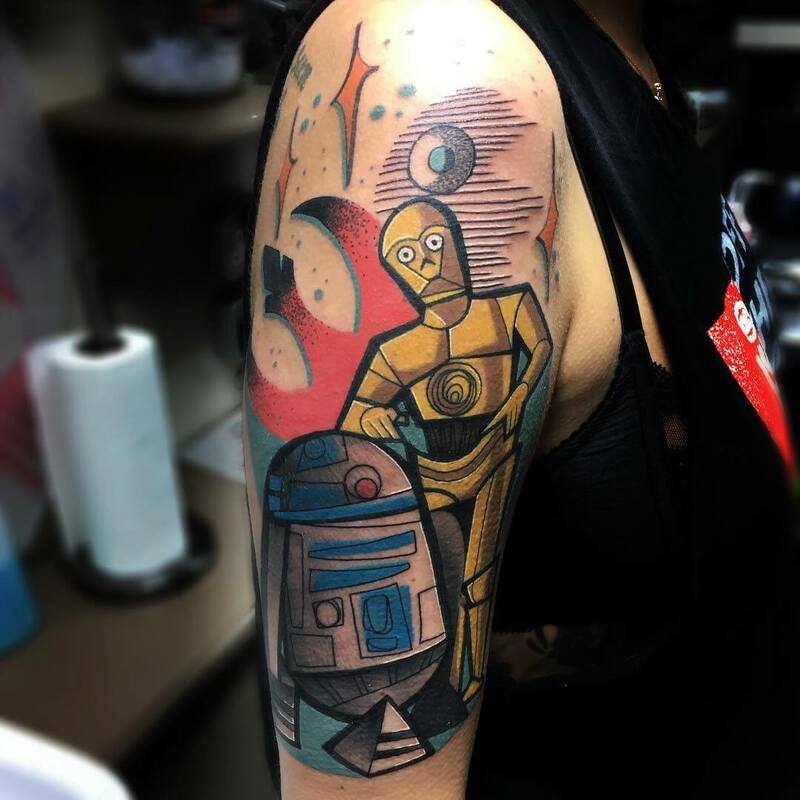 He travels a lot and spreads worldwide his tattoo visions of various Pop culture icons such as superstar David Bowie or C3PO from Star Wars. 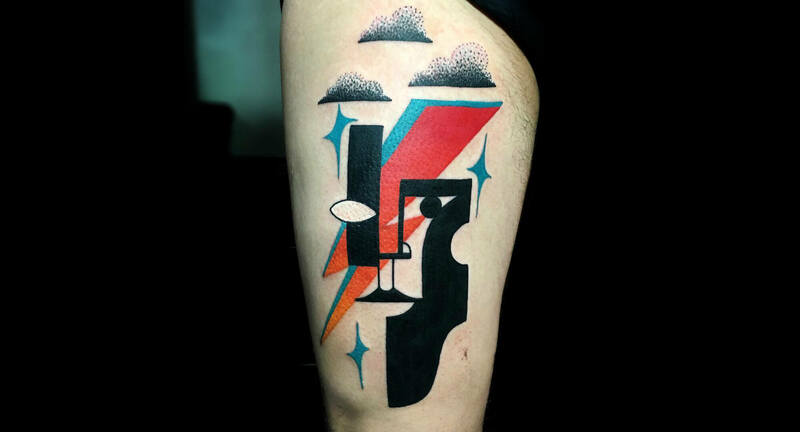 Scroll down the gallery to get familiar with his work, it’s surely appealing and interesting. 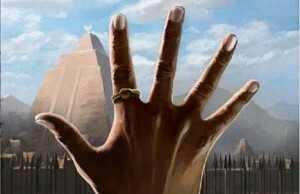 Your eyes and imagination must play together when you look at these images. 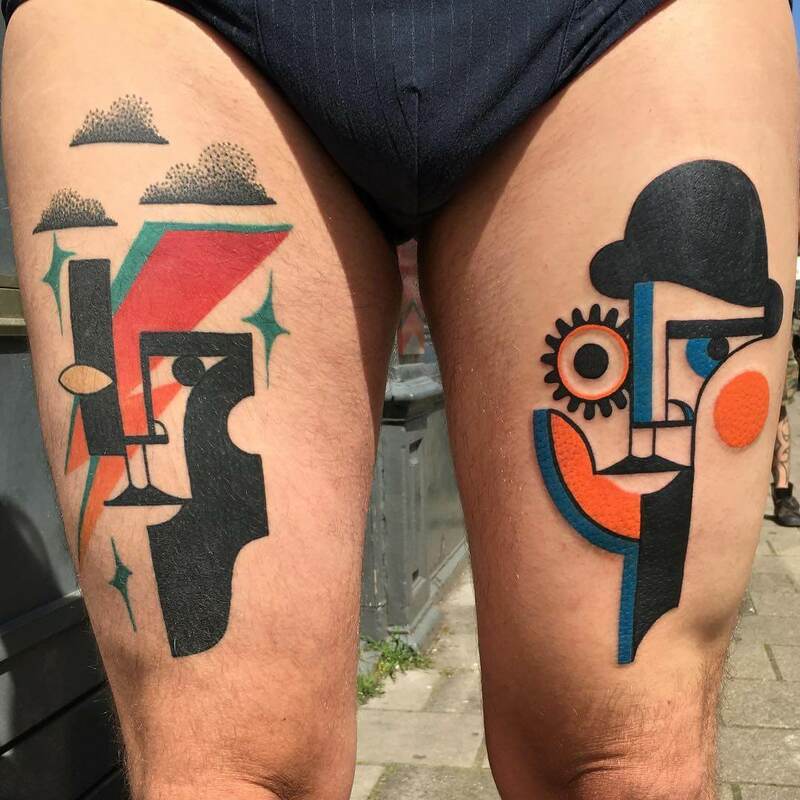 Be sure to share these cool Picasso inspired tattoos by Mike Boyd with your friends who love tattoos.